Being one of the biggest pop stars in the world is not an excuse for Madonna to experience some uncomfortable questioning during her petition to adopt her Malawian twins. I think it’s safe to say that the singer charmed the Malawian adoption judge by her selfless answer when she was asked questions because the judge somehow feels like Madonna might be “robbing” the country’s greatest assets, which are the children. 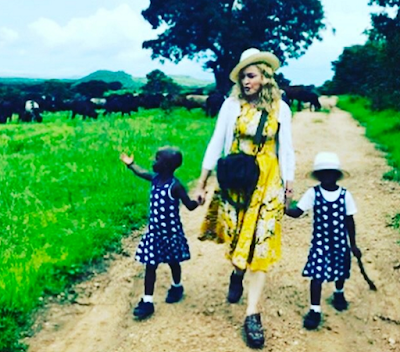 During the petition, Madonna was asked by Judge Fiona Mwale about her age, her health, her celebrity status and her motivation for wanting to adopt the twins, when she already has 4 kids of her own, with two of them also adopted from Malawi. Madonna answered, "There is no doubt that the petitioner can offer the infants not only the best money can buy, but also guidance with a high likelihood of ensuring that the two infants grow to be self-sufficient adults… [Madonna] is motivated by her desire to offer a home, love, protection and guidance to the infants." Isn’t that answer sweet? That’s how wonderful adoption is. You love someone who doesn’t even come from you. When it comes to the judge, we understand that it’s a part of her job to make sure the petitioner’s motives are right and true about adopting the kids. Adoption sounds like an easy process but it isn’t, and it shouldn’t be, as it’s the children’s future that’s at stake at every adoption. It seems that the 58-year-old’s answer to the questions thrown at her by the adopting judge justified her since she was given the permission to adopt the kids. Congratulations to Madonna and the kids!